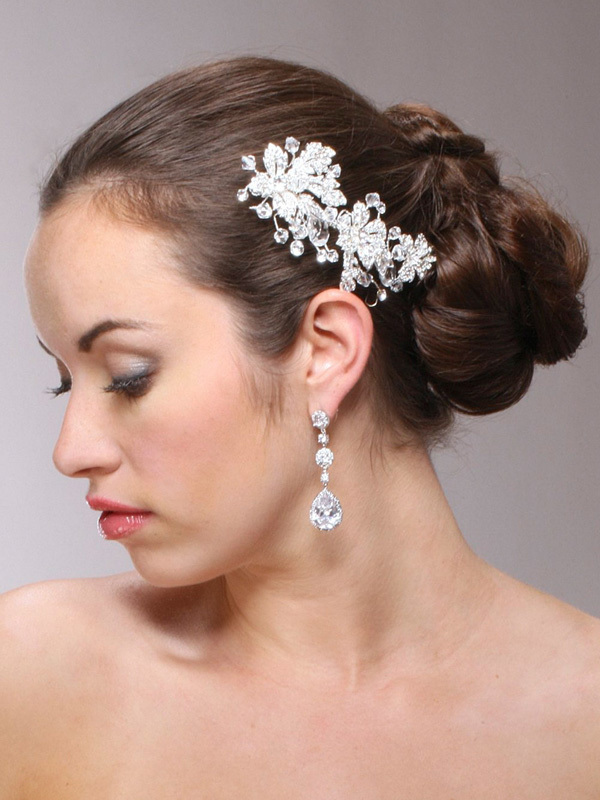 * For a breathtaking embellishment to your bridal hairstyle, Mariell presents our wholesale hair clip with pave leaves accented by bold crystal teardrops & faceted crystal beads. 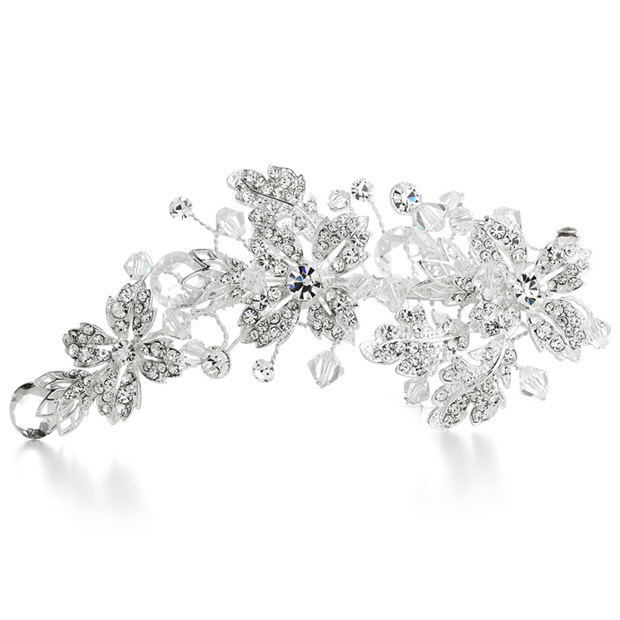 * This shimmering sterling plated spring clip headpiece offers the versatility to wear the hair in an updo or down. * It guarantees to turn heads at any wedding or special event. * Keep this in your store's showcase and it will be reordered time and again! * This 5 1/4" w x 2 1/2" h sterling silver plated wedding headpiece has a spring clip to wear your hair down or in an updo.